Football associations in the Cecafa region with Rwanda inclusive will no longer have to go all the way to Zurich in Switzerland to get their development issues sorted out after FIFA opened a regional office in Addis Ababa, Ethiopia on Monday. Fifa‚ through their Forward Programme‚ is helping their member associations with their grassroots development support and the launch of the Central and Eastern African regional offices in Addis Ababa will help speed up funding to the associations in need. Caf President Ahmad Ahmad and Fifa Secretary General Fatma Samoura also attended the function. At the function, Rwanda Football Federation (FERWAFA) was represented by president Sekamana Jean Damascene and secretary general Uwayezu Regis. Addis Ababa is the third African regional office after Dakar in Senegal and Johannesburg in South Africa which were opened last year. In line with FIFA 2.0 and its ongoing commitment to promoting and growing football around the world, the new regional development office in Addis Ababa is providing dedicated assistance and support to member associations in the successful delivery of the FIFA Forward programme in Africa. The FIFA Forward development programme is the flagship of our President, Gianni Infantino. FIFA Forward is already having a real and lasting impact in growing the game and ensuring that it is more accessible and inclusive to all than ever before. By 2022, FIFA will have invested almost USD 3 billion in football development globally through the FIFA Forward programme. 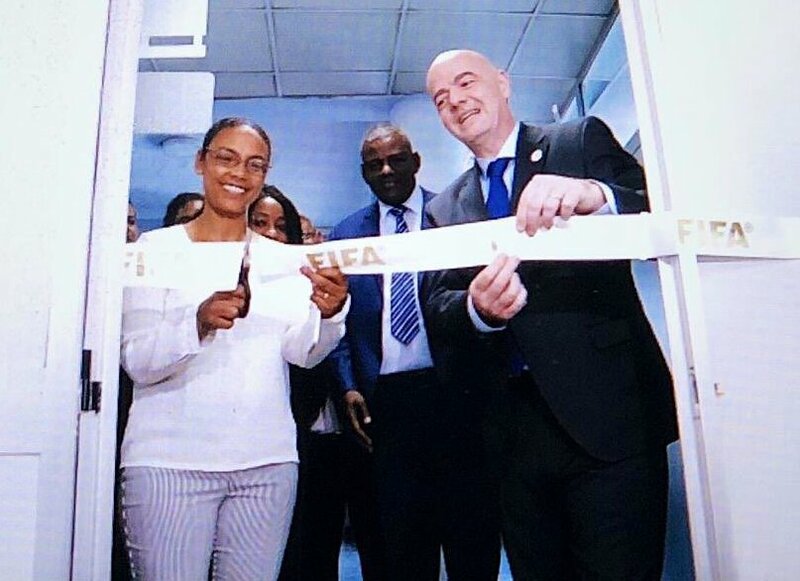 The Addis Ababa office is one of ten regional development offices to be opened by FIFA since the creation of the Forward programme in 2016. Other FIFA regional development offices already established in India, Malaysia, New Zealand, Panama, Paraguay, Senegal, Barbados, and United Arab Emirates.